Muse will be supported at the massive bash in Rio de Janeiro on September 14, 2013 byAlice In Chains. Metallica, Bruce Springsteen and Iron Maiden are already confirmed for this year's Rock In Rio festival. Metallica will headline on September 19, followed by The Boss on September 20 and Iron Maiden on September 22. Muse kicked off their latest world tour with a gig in Montpellier, France on October 19 thatfans hailed as "insane". The band went on to play five arena dates across the UK during October and November. 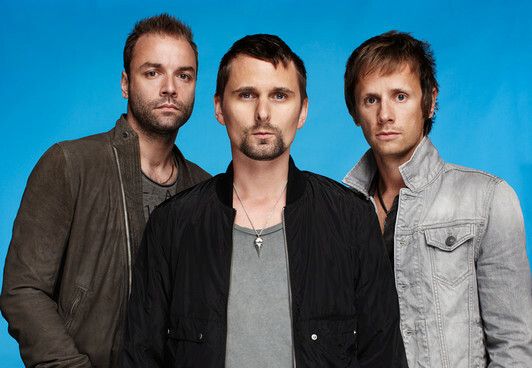 Muse will return to the UK next summer (2013) for a four-date stadium tour. They kick off their second UK leg at Coventry's Ricoh Arena on May 22, before playing a pair of dates at London's Emirates Stadium on May 25 and 26, and wrapping up at Manchester's Etihad Stadium on June 1. Speaking about the band's current world tour, singer Matt Bellamy told CBS Localrecently: "I think it's going to be our best tour so far. It's like our version of [Pink Floyd’s 1979 double album and tour] 'The Wall'." The ambitious production includes an upside down pyramid structure, which is full of video screens. "Throughout the gig, it gradually comes down and consumes the band. So we end up eaten up by this pyramid thing, which is all very symbolic, of course. We blast out of it and escape."